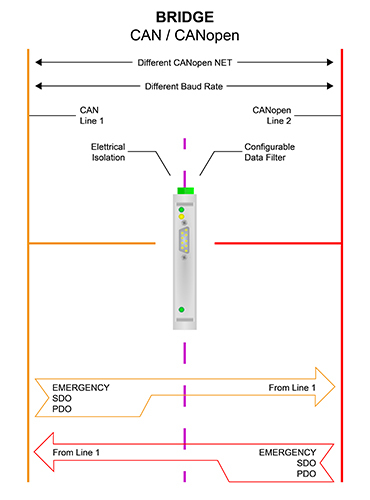 This serie of products allows to integrate a CAN network with a CANopen net. 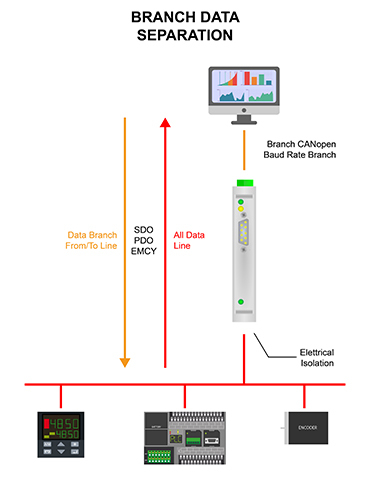 The HD67042 is a CAN / CANopen Converter and it allows you to connect a CAN net with a CANopen network in order to exchange the informations between the networks. Important is the automatic generation of the GSD file that allows you to integrate the device into your system quickly. These converters are contained in a metal housing, so it is STRONG and RESISTANT to the vibrations and shocks. The electrical parts are with triple isolation of 4000 V between CAN/CANopen - CAN/Power Supply - CANopen/Power Supply.